Our new relaxation area. A lovely peaceful place to relax, have a picnic or do yoga. 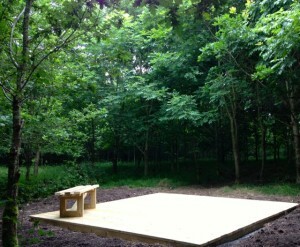 We created this in our woodland, which we planted about 20 years ago. Surrounded by oak, ash and beech trees, you will love this little oasis!